I love going to Dr. Yum! Dr. Yum has been a wonderful dentist. One of the things that I like mostabout Dr. Yum is that he doesn't just care about his patient's teeth - he cares about his patients! I love going to Dr. Yum! Dr. Yum has been a wonderful dentist. One of the things that I like most about Dr. Yum is that he doesn't just care abouthis patient's teeth - he cares about his patients! Dr Yum was as personable as ever, and is extremely efficient. His work is top notch, and he even squeezed mein same-day for a loose temporary crown! Best dentist I've ever had! Dr Yum was as personable as ever, and is extremely efficient. His work is top notch, and he even squeezed me in same-day for a loose temporary crown! Best dentist I'veever had! Dr. Sang Yum is a dentist and cosmetic dentist serving the community of Redmond, WA. Dr. Yum attended the University of Louisville, where he received his dental degree, and completed his residency at Columbia University. He completed additional specialty training in implant dentistry from Columbia University. Dr. Yum runs his own practice, where he sees patients for dental consultations, dental emergencies, implants, tooth extractions, and dentures, as well as other common and specialized reasons. Dr. Yum is a member of the Washington State Dental Association. 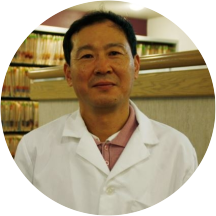 He speaks English and Korean, which makes him accessible to patients from a variety of cultural backgrounds. During his consultations, Dr. Yum explains patients’ conditions and helps them choose an appropriate treatment plan. Dr. Yum believes that proper dental care begins and ends with the patient, and his goal is to deliver a complete dental program that ensures long term dental health of the patient. I came to Dr. Yum thanks to a recommendation from my friend, and Dr. Yum seems to do an excellent job. He answered all my questions I had about cavities and abfractions and helped me understand what exactly was going onwhile he filled a couple cavities. Also, I didn't feel any pain during the fillings, everything went well. But I've never had problems before with that. Numbing technology has gotten really good, I can't remember the last time fillings actually hurt. I recently moved up to Washington, but I think I've found my new dentist. The dental treatment that I received from Dr. Yum and his staff is the best I've experienced. He is professional, very patient when explaining procedures and pricing, and most importantly he's a doctor who does everything he can to make sureyou are comfortable and informed. I recommend Dr. Yum's services to everyone. Thank you! It was excellent. I thought I had lost a filling but he said only a small part of it was missing & didn't need to be fixed until the filling cracked or more of it fell out. I wouldn't be surprisedif another dentist would have said "Oh, that's got to fixed right away" & done a whole new filling today. I can always trust Dr. Yum's assessment to be honest, professional & in MY best interests. I Love that EVERYONE is so friendly and professional. BEST Dentist EVER!!!! Dr Yum and staff are wonderful. Very attentive, kind and efficient. I am one of those kids born in the 50's and feel like I spent a big part of my "wonder years" in a dental chair. I sure wish Iwould have had a denist like Dr Yum! He is great at explaining what needs to be taken care of and presents options on how those needs can be met. I have NEVER felt pressured to have work done and have NEVER left the office dissatisfied or in any discomfort. I use to live in Redmond but now live North of Seattle and have no intentions of changing to a closer Denist and you know how much we all love driving the 405 !!! Keep up the good work doc and a major shout out for your ENTIRE staff !? ?